DAVID LE/Staff photo. 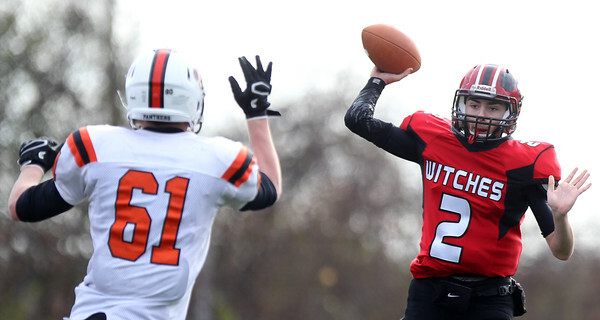 Beverly junior quarterback Jared Lubas (2) tries to throw a pass over leaping Beverly senior Ryan Garrity (61). 11/26/15.